​Gel nails originally referred to nail extensions made using a hard gel product hardened by curing under an ultraviolet or L.E.D. (light emitting diode) light. However, recent use of the phrase includes just about any nail service performed involving the use of gel products, including the very popular gel polish manicure. There are two types of gel, hard gel and soft gel. Hard gel gets its name because, once cured, is tough enough to be made into a nail extension. Nail extensions are artificial nails created by using a nail product to extend the nail past the edge of the natural nail. Soft gel refers to the gel products that are too soft to create a nail extension. This includes gel polishes and thicker gels meant for gel overlay services. Gel polishes are used for the increasingly popular gel polish manicures. These manicures, when done by caring, experienced, and trained professionals, are gentle to the natural nail and the polish stays intact on the nail for at least a couple of weeks with high shine and no cracking, peeling or chipping. The product used to create nail extensions using gel or Gel nails is gel, not to be confused with acrylic nails which are created using liquid monomer and polymer powder. All gel services are performed using some form of gel which usually come in pots of gel or bottles of gel polish. Gel also comes in a variety of colors and all forms of gel require curing under a U.V. or L.E.D. light to harden or cure the gel. Curing refers to the chemical process that occurs when the photo-initiators within the gel itself are exposed to the U.V. or L.E.D. light. The chain reaction creates heat while the oligomers combine to form long chains during the polymerization process. These bonded chains are what makes the gel become hard and it's the photo-initiators within the gel product that jump starts the curing process. Usually, once the nail extension has been created there is a residual tacky layer that is removed by wiping with a cotton pad soaked in high concentrate alcohol at the end of the service. Pink and white; our nails are a beautiful blend of two elegant colors. They look prettier when they are well kept and manicured. However, most of you may find it practically difficult to keep your natural nails healthy and sturdy; continuous application of nail colors may cause discoloration, constant washing may remove the enamel shine and regular chores may chip the nails from here and there. Does this mean that having alluring fingernails and toenails will always remain a dream? Absolutely not! Try gel nails, a fine way to beautiful nails. You may be wondering why you should go for gel nails when cheaper acrylic alternatives can also get you beautiful, lengthy nails? It is true, gel nails are recent and they may be more expensive than the ordinary acrylic nails or even solar nails. However, they are also stronger and have a technique that’s more effective. The gel used for the adherence of these special nails is much stronger than the mixture of liquid and powder used in acrylic nails. Moreover, the gel is free from any odor, making it feasible for application. Unlike in many other types of artificial coverings, these nails are much lighter and stronger. 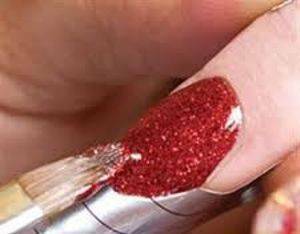 They have the appearance of natural nails, only lengthier and prettier. So how do you get started? Approach a reliable nail technician at illusions salon and spa to get the gel nails that will enhance the beauty of your hands and feet. Get your cuticles cleaned and your nails trimmed before moving on with the following application. The nail plates shall be smeared with a thin layer of gel and then be exposed to ultraviolet light for a few minutes- the light shall harden the coat. This brushing and drying process is repeated several times to shape the perfect gel nails. You will soon enjoy crack-free nails that are resilient. They do not generally come off by organic thinners. However, don’t let the strong coverings and multiple coats scare you either; the gel can be removed conveniently and quickly by using acetone. With this enhancement, you may add a dab of freshness and style to your fingers and toes in a one day. You have a magical solution that can pelt your scratched or broken nails and prevent them from further damage. You may have the length and strength that you desire, especially when you want the pretty look to last for a particular phase like a vacation or a wedding season. All those who do not wish to bear with tainted enamels can enjoy glossy and pink nails that and can be worn at all times. Besides, if you are looking for a flashy option, you can always wear the colored gel nails that will dash some creativity and vibrancy to your fingers and toes. You could indulge in nail art and colors of your choice to get the look that you need. You deserve to look chic and classy. Gel nails offer a convenient and an exciting way to enhance your beauty and style. Pamper your fingernails and toenails with these light, sturdy and healthy overlays. Then sit back and enjoy the new look!